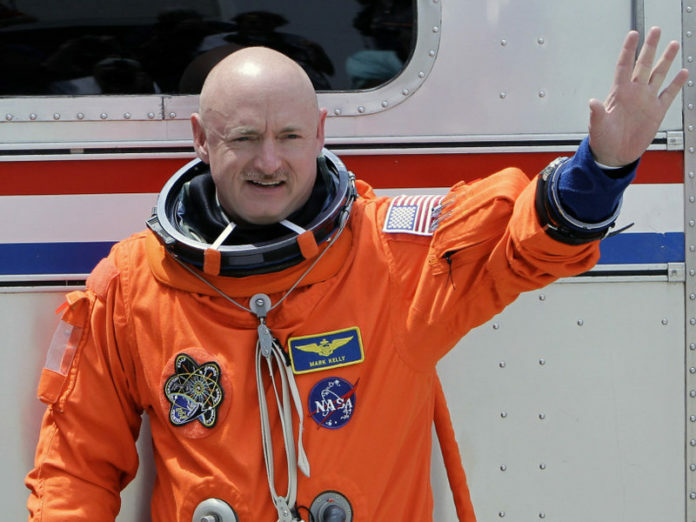 Retired astronaut Mark Kelly, who became a prominent gun-control advocate after his wife, former U.S. Rep. Gabrielle Giffords, was shot in a failed assassination attempt, announced Tuesday he will run to finish John McCain’s last term in the U.S. Senate. Kelly described himself as an independent-minded centrist who will take a scientist’s data-driven approach to solving problems such as climate change, wage stagnation and health care affordability. McSally is a former Republican congresswoman who was appointed to McCain’s seat after she narrowly lost to Democrat Kyrsten Sinema last November in the race for outgoing Republican Jeff Flake’s seat. McSally leaned heavily on her record as the first woman to fly a combat mission, but she was hurt by her embrace of President Donald Trump. Giffords played a prominent role in the four-minute video Tuesday launching Kelly’s campaign. U.S. Rep. Ruben Gallego of Phoenix is also considering a Senate run that would likely position him to Kelly’s left politically. If he wins, he could have the best attendance record, by having his twin sub for him when he’s not there.